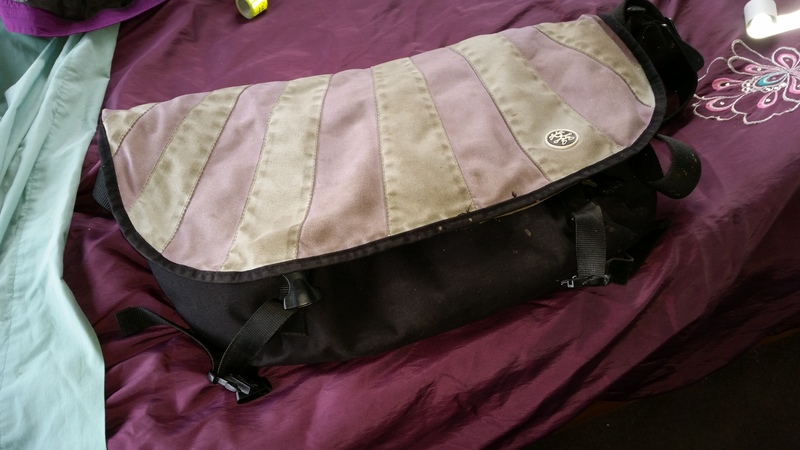 For over a year I have been planning to do this, my crumpler bag (the complete seed) which I bought in 2008 has been my primary commuting and daily use bag for stuff since that time and as much as I love the bag there is one major problem. No reflective marking anywhere on the bag. 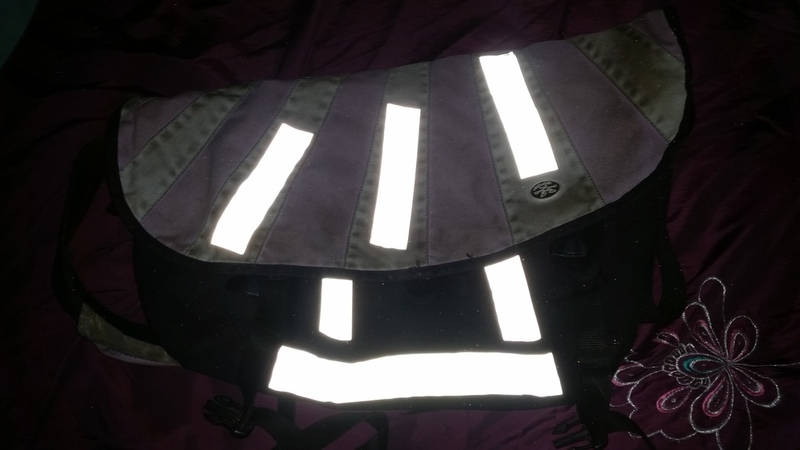 Some newer crumplers have reflective strips and other such features and if I really wanted to spend big I could get them to do a custom bag with whatever colours and reflective bits I can dream up. There are also a number of other brands that do a courier bag with reflective bits or even entire panels or similar that are reflective. However this is the bag I own and it is still perfectly good for daily use so no need to go buy something new. 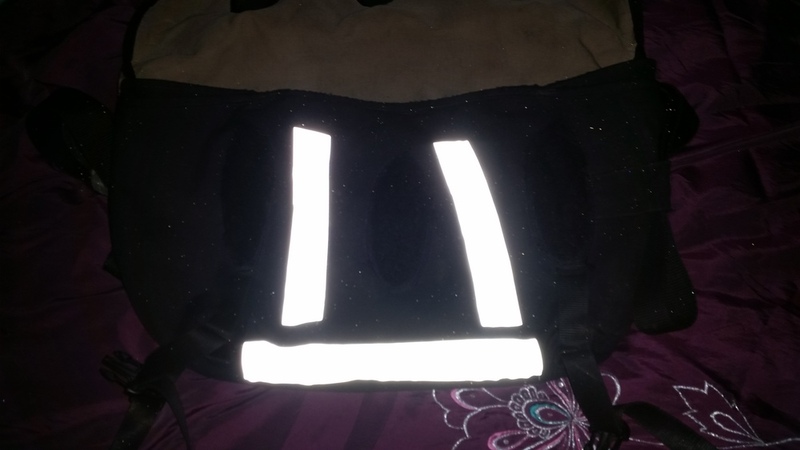 So I got a $4 sewing kit I had sitting around in the house, some great 3M reflective tape material and finally spent the time to rectify this feature missing from the bag. After breaking 3 needles and spending a while getting it done I now have a much safer bag especially commuting home on these dark winter nights. 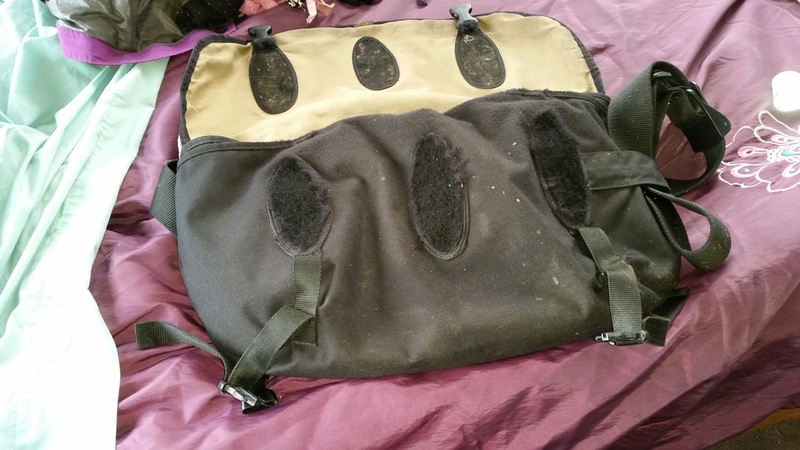 The sewing work is a bit messy however it is functional which is all that matters to me.